In our sweets kitchen, three’s company, especially when it comes to some of our most popular products. 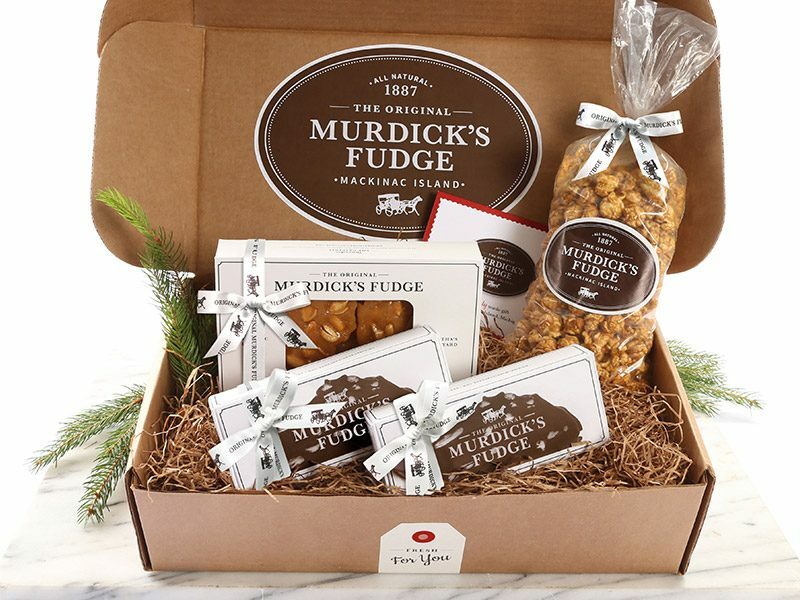 This package includes our all-natural Pure Michigan fudge (choose two varieties from 14 flavors), crunchy brittle (choose 12 ounces of cashew or peanut) and a bag of old-fashioned, buttery caramel corn. Just the ticket!